C.J. turned seven on Saturday. My baby is growing up. He’d been planning his birthday celebration for three months – the amount of time he usually puts into preparing for big life moments like his birthday, nobody else’s birthday, Christmas, Halloween and the end of the school year. This year’s celebration took the cake; we may have peaked with his seventh birthday party. We spent the night before at our friend Marie’s house in her RV in her backyard, which is one of C.J.’s favorite things to do. He loves glamping. We woke up and walked across the backyard into the house where Matt and I prepared birthday cake pancakes. As with most things I get off of Pinterest, the results were sub-par. But, like a good mom will tell you, if the worst part of the day was pancakes that wouldn’t cook all the way through, it’s a good day. We took our time getting dressed and primped. C.J. had his outfit laid out for a week. He selected: his black Chuck Taylor All Stars, gray super skinny jeans, a pink-leopard-print skinny belt, a studded Monster High t-shirt and a pink oxford shirt. He decided not to chalk his hair because he was afraid it would detract from the birthday crown he knew he would be getting. He also dressed his American Girl doll, Julie, in a party outfit that he pulled together for her after much thought. All of the party goers loaded into Marie’s van (thanks for driving, Marie! I still owe you gas money). C.J. Me. Marie. Marie’s daughters Grace and Kate. My friend KK and her daughter Saige. 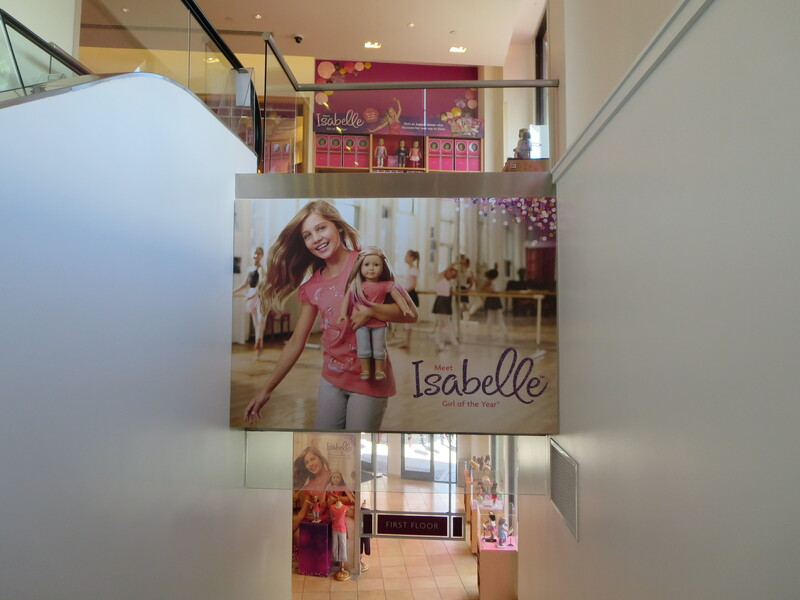 And we were off….to the American Girl Place at The Grove in Los Angeles!!!!!!!! 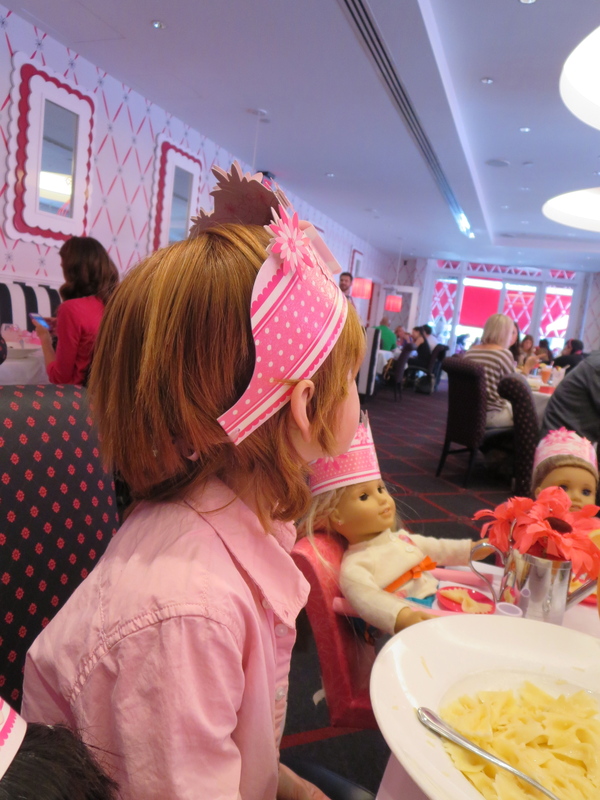 I had booked a 12:30 p.m. party in the American Girl Café. I don’t know who was more excited: C.J., me, Marie, Grace or KK. Kate and Saige were trying to play it cool because they are 13 and 10 and way too cool for dolls, but they were excited deep down inside. When I called American Girl in December to make a reservation (it’s a tough one to get), I was pleasantly surprised when the American Girl customer service rep asked, “What is the birthday child’s name? How old will the birthday child be turning?” She didn’t assume that the birthday child was a girl. I told her that the birthday child was a boy and there wasn’t a moment’s hesitation. 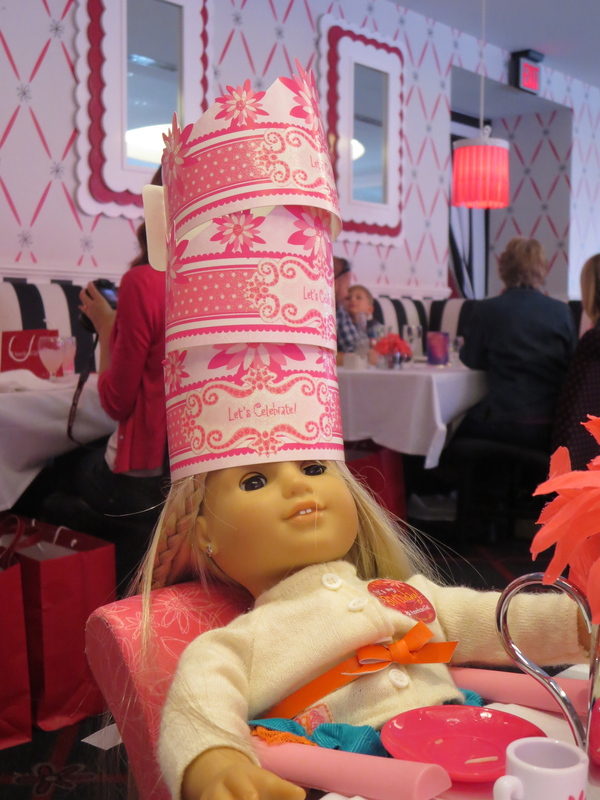 “Do you a lot of boys celebrate their birthdays at the American Girl Place?” I asked because I’m always curious. “It’s not common, but it happens frequently,” she replied, not skipping a beat. 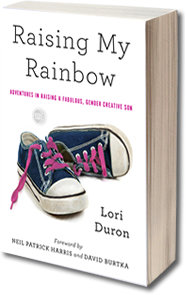 “Do you do anything differently depending on whether the birthday child is a girl or a boy?” I asked. They didn’t. I was pleased, again. I like it when things seem easy. We were seated at our table for 10. This is where our crowd really went wild. 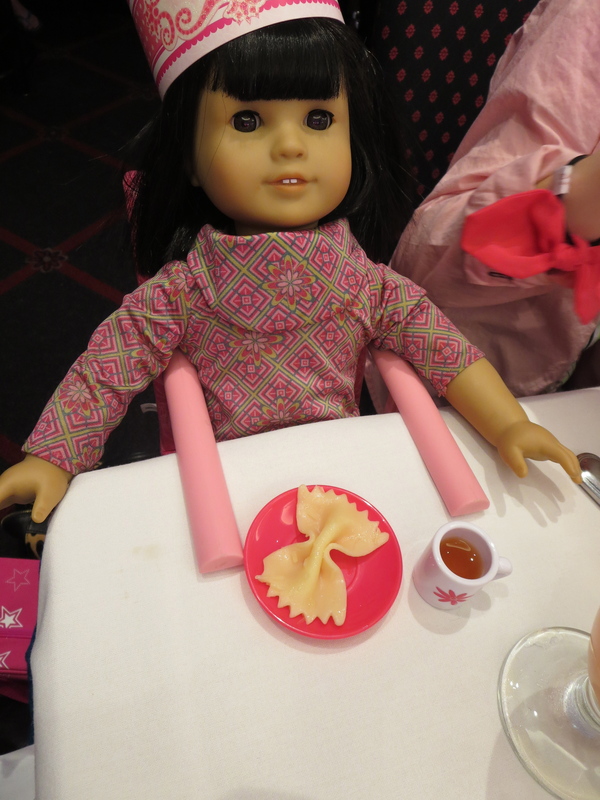 Everybody who brought a doll got a high chair for their doll so that all dolls joined us at the table. If you didn’t bring a doll, you could borrow one from the Café’s shelves. C.J. had me borrow Ivy. She is Julie’s BFF and he wanted the girls to be together at his party. But, he also wanted to spend some time with Isabelle, the 2014 American Girl of the Year. So, he let (made) Uncle Michael borrow Isabelle. “Oh, I’m so sorry,” the server said. Out came our drinks and each doll got a tiny teacup and saucer. C.J. and Marie smiled and squealed. Out came our appetizers. All miniature foods. More smiles and squeals. The Café manager approached our table. “Are you the birthday girl?” she asked C.J. He looked at me. “He’s the birthday boy,” I said. This was getting exhausting. I usually don’t speak for him so often, but I wasn’t going to let anything dampen his day. We ate. The dolls ate. The cake was placed in front of C.J. and we sang Happy Birthday. He leaned back, drew in a breath, his cheeks puffed out, be began to blow and, then, he stopped suddenly. “Oh, I need a minute, I didn’t make a wish,” he said with concern. Pink candles were melting onto the pink and white cake. I was fighting the urge to rush him. He must have come up with something, because he blew out the candles and we erupted in applause. My boy beamed. There’s a holder for your doll in the bathroom stall so that she can watch you pee. Not weird at all. After lunch we entered the two-story American Girl Store and C.J. was more overwhelmed than I have ever seen him. There was so much to look at and so much he wanted. We stopped by the doll hospital, where you could check your doll in for healing (repairs). We visited the doll salon where dolls were getting elaborate up-dos. Uncle Michael in particular was fascinated by this section of the store and snapping pics with his phone. Then, a moment that C.J. had been waiting for arrived. Julie got in line to get her ears pierced. You can watch your doll get her hair done, but you can’t watch her get her ears pierced. I’ve heard that’s because they use a drill to make holes in her head and that would prove traumatizing for children. I haven’t shared this information with C.J. I stood with him in the waiting area and when Julie was presented to us with small shiny stars in her ears, he was all happiness. Uncle Michael spoiled him with the American Girl gymnastics equipment set; KK and Saige bought him a skirt; Uncle Michael’s friends bought him and Julie a white dog named Coconut; and I bought him a wheelchair for his doll. Presumably to use as she recovers from some injury incurred on the gymnastics set – although, once home, he put Julie in the wheelchair and pushed her down the stairs (more than once or 15 times). The American Girl Place was overwhelming for all of us and we weren’t disappointed to leave after three hours. C.J. fell asleep in the car as we headed home to celebrate the big “7” with Matt, Chase and my parents. He continued to luck out in the gift department. He wanted Monster High dolls and Lego Friends sets…and he got them. When I went to work on Monday morning a coworker asked me if everything went okay at the American Girl store and if people were staring at C.J. because he was a boy celebrating his birthday at doll store. I don’t know. I don’t know if people were staring at us, because I was staring at C.J. And the view was fabulous. This entry was posted in All Posts and tagged American Girl, American Girl Doll, American Girl Store, Birthday, gender creative, gender nonconforming, Gender Stereotypes, Ivy, Julie, Lego Friends, Los Angeles, Monster High, Orange County, parenting, The Grove. Bookmark the permalink. 52 Responses to Happy 7th Birthday, C.J.! You can always go BACK to the cafe for his 8th birthday. Or maybe he’ll be on to Monster High parties by then! I love that the cafe lets people “borrow” dolls! What a great idea! Happy belated birthday to CJ!! Was this the American Girl Place in NYC? I grew up with American Girl when it first took off (in the 90s), all of my friends had one. I wish I were CJ’s age so I could take my doll to the cafe and have tea and all of that. I have been in the store and is definitely overwhelming! Though they retired my doll Kirsten a few years ago, I feel like they are putting more of an emphasis on the “modern” dolls than on the historic dolls that were the basis of the brand for the longest time. And I totally remember the little white dog Coconut–we got their catalogue for years and years and I pretty much memorized all of the merchandise. What a fun day that must have been for CJ! This isn’t really related to his birthday, but C.J. has some jealousy-inducing hair! Maybe it’s the super-clear digital photo that zooms nicely on it, but it looks fabulous! And I agree, chalking it, however that would have been done or effect it would have had, wasn’t needed. Oh my gosh! Having recently read all about his Disney World birthday party, I can’t imagine how amazing this birthday must have been, if you are ready to go so far as to say that you might have peaked with this one! Tbh, I find all of C.J.’s birthday parties really fabulous. I only ever got one themed birthday party – my third. I am sooooo jealous of C.J.! But I am really, really happy for him! After all, we are all team C.J.! So glad to hear he had such a wonderful birthday! I’m kind of sad all the kids I know have outgrown that kind of stuff or I would totally go check it out. Aw so cute! Sounds like a fabulous birthday!! Happy birthday CJ! You rock and so does your mommy. Happy Belated Birthday CJ. And Lori, I commend you on another great post. My favorite line of the entire post is “I don’t know if people were staring at us, because I was staring at C.J. And the view was fabulous.” That is incredible! Happy birthday CJ! My daughter is “totes jealous” of the awesomeness of your party! Happy Birthday C. J.! Sounds like you had a great day! Happy 7th birthday CJ and Lori! Loved your party theme! Today we had a Monster High fest at our place for my boy and 16 of his friends to Celebrate 8! I even made a Monster High Pinata. Was thinking of you as we had our fun. Thank you for drawing an even bigger circle to invite the rest of the world in. Then everyone can join the fun. Happy birthday! Happy Birthday CJ! I am glad you had such an amazing party and I hope you have a great time being 7! Your birthday sounds like it was awesome CJ!!!! It’s such a great feeling to make their dreams come true. Happy birthday from me and Timmy! I think I love your last comment the best “I don’t know if people were staring at us, because I was staring at C.J. And the view was fabulous.” You are a great mommy! Happy belated birthday CJ! And many happy returns! Happy birthday CJ! You have inspired my own pink boy to “maybe” make a trip to the AG store near us. He has Saige but has been uncomfortable to actually go to the store. He is 7 and a half. It is great to show him he is not alone. Colleen, if you have never been to an AG store, you should definitely go! There is so much going on and so many things to see, I really don’t think people pay any attention to anyone else. 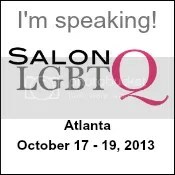 It’s a “mecca” for so many, it’s easy to get lost in there! I’ve been to Chicago and LA and both stores were the same – tons of people – moms, dads, uncles, aunts, grandmas, grandpas, and oh yeah…. the kids! Wonderful story! It sounds like your server was making assumptions that were informed by gender stereotypes. But, I wonder if when the cafe manager addressed CJ as a girl she was trying to be trans* sensitive. Did it feel like that? Or, was she truly off the mark? I hope that’s the case, and the manager just thought they were doing the right thing. Personally, I’d probably refer to ‘the birthday kid’ (kinda like you say the Milkybar Kid) to avoid anything like that. We adults do forget that children see the World and things for what they are and not all the assumptions and prejudice we associate with. Our son (4) likes to watch princess films, he seems to be very much into fashion, he loves to dance (and is rather good at it) and enjoys when being dressed up as a pink fairy with tutu by his sister and her friends. Children don’t censor or limit their potential and experiences- it’s the grown ups who often have become a bit lethargic in their appreciation to the wonders of life! They miss out on these happy experiences. You gave him an experience he will have happy memories of. The best thing any parent can give their child. I’m so glad he had a great birthday. It sounds amazing! How wonderful that CJ’s special day turned out so beautifully! The world is changing, not fast enough for me – but it’s changing. Thanks to families like yours! Happy Belated Birthday CJ! It sounds like you had a blast! Happy birthday, CJ! I’m kind of jealous right now, because when I was young enough to celebrate a birthday with American Girl, I could only dream of it, since the closest store was in New York City. I’m glad he had an amazing time. Happy Birthday CJ!! I can’t believe he’s 7 already!! You’ve been writing about birthday parties since the beginning of this blog and I never thought anything could surpass the Disney princesses but you’ve done it!! Congratulations!!! Happy Birthday, CJ! You have such a great mom who clearly loves you so much. I hope you’re always surrounded by such love. Holy ja moly! Happy birthday C.J.!!! CJ I hope you had a great birthday. Here’s to an amazing year. Wow, what a great day he had for his birthday! I would have been disturbed people kept calling him a girl. Glad it didn’t ruin his day. I wonder if the other boys who had parties considered themselves girls? I’d never even heard of American Girl dolls until a couple of months ago (but I’m glad someone else mentioned them first else I’d have been staring at your post like, “What is this? What’s going on?”). I guess that’s what comes of being British, ha ha. Happy belated birthday to CJ! Happy belated birthday, CJ! I’m so glad it turned out to be a great time! It never even occurred to me that such a thing could exist. Then again, I’m not from the US and had never heard of American Girl dolls until you mentioned them here. I am boggling a bit. Bean often gets mistaken for a girl. He has long(ish) hair that he wears in pigtails and wears skirts and sparkly things. He’s too young to really notice that people are getting his gender “wrong,” and hasn’t seemed to mind overly much on the one or two occasions he has noticed. We usually gently correct the person and either get an immediate apology or a slightly perplexed look, but so far we’ve been very lucky. We try not to make a “big deal” out of it for now, since there will be plenty of time for it to become a big deal later, when he’s older and will feel the effects of being different far more. Happy Birthday to the boy who has inspired so many and for some of us, allowed us to dream about what might have been. Happy Birthday CJ. I hope it’s the best year ever for all of you! Happy birthday CJ! Sounds like a fantastic day for all. Yet another lovely post from an incredible writer and mom. Thanks for sharing CJ’s b-day! You are just the best mom ever. When I think of all the things I ‘had’ to do, growing up in the 60s, how nice it is that you let CJ be who he wants to be. Keep up the great work, you are an inspiration to us all! Happy birthday, CJ! Your outfit sounds fabulous, and Julie’s is very cute. You make great fashion choices. Sounds like a fabulous birthday! Happy Birthday CJ! With that being said, I will keep my sister far away from any such information that a birthday can be spent that way. She’ll definitely want something similar for her next birthday. Happy Happy Happy Birthday CJ! And Lori? Great job!